*Trey Songz likes beef. That’s the conclusion we’re going to make today. Although he’s back in love with his R&B idol R. Kelly, the singer is grilling up something new with Ne-Yo. While he’s been in the game a little longer, Ne-Yo may have the right and experience to criticize Songz. He recently described the singer’s music as “emotionally disconnected.” Certainly it wasn’t to slight him right? Well, Songz took it to a whole ‘nother level and put on his boxing gloves. “I think the simple way to put it would be, he’s hating,” Trey said in a recent interview with the K104 Morning Show. “It was a taped interview, so he could’ve hit me before it happened. I mean, that’s definitely a shot, and I told him that,” he said. 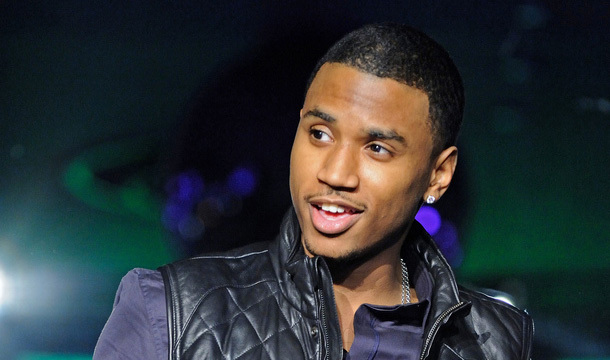 In his youthful mindset, Songz claims he’s “too grown to bicker” or deal with anyone’s drama. So he’s going to let this one go and chalk it up as a hater moment. In the meantime, he’s not dating Lauren London, in case you were wondering. He said she’s important in his life, however, they’re great friends and former lovers. Next ArticleHow Much Damage Did Clint Eastwood's 'Ad-Lib' at RNC Really Cause?